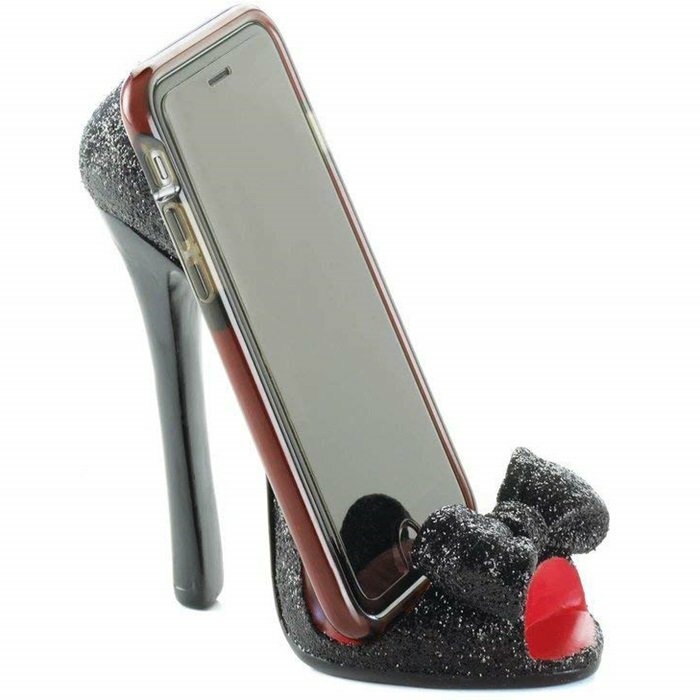 Add some pizazz and class to your desk with this creative high heel shoe phone stand that you can purchase in three great colors. 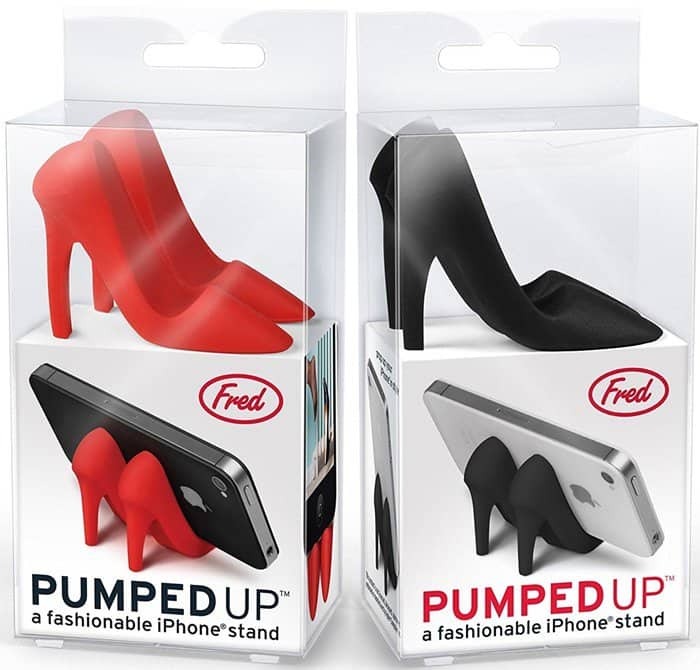 This pretty pair of pumps from Fred & Friends props up your phone so you can pay proper appreciation. 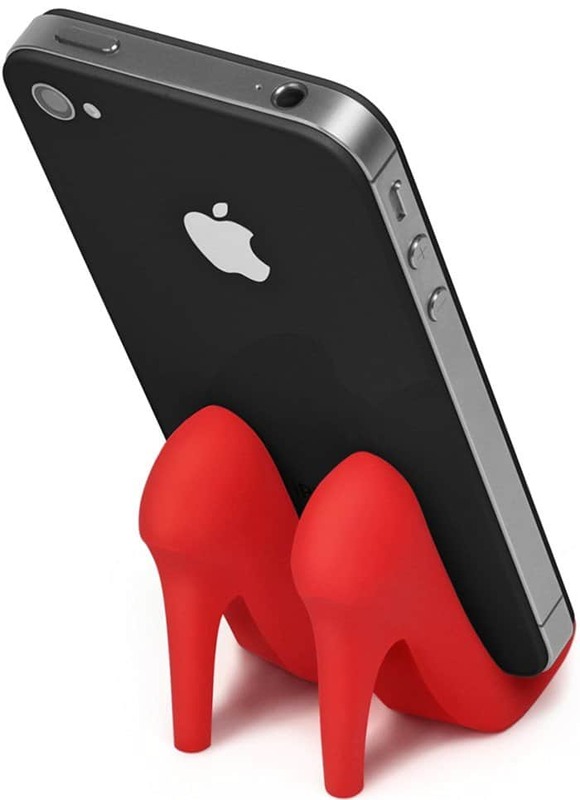 It is made from 100% pure silicone, meaning you don’t have to worry about it breaking or falling off your desk. 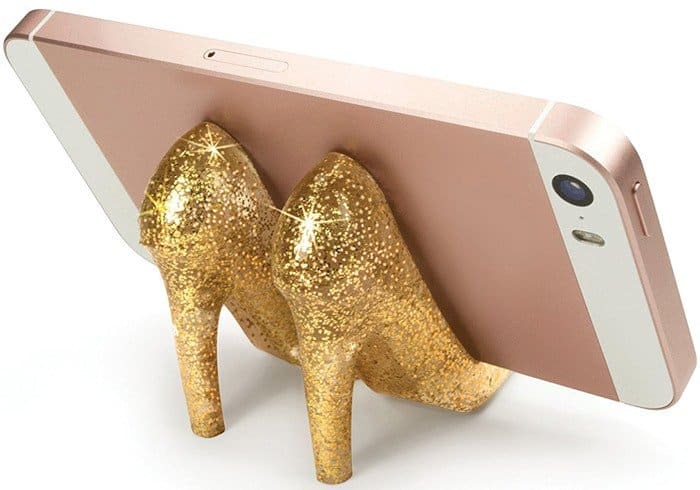 We also love the following cell phone shoe stands that we found. Which one is your favorite? 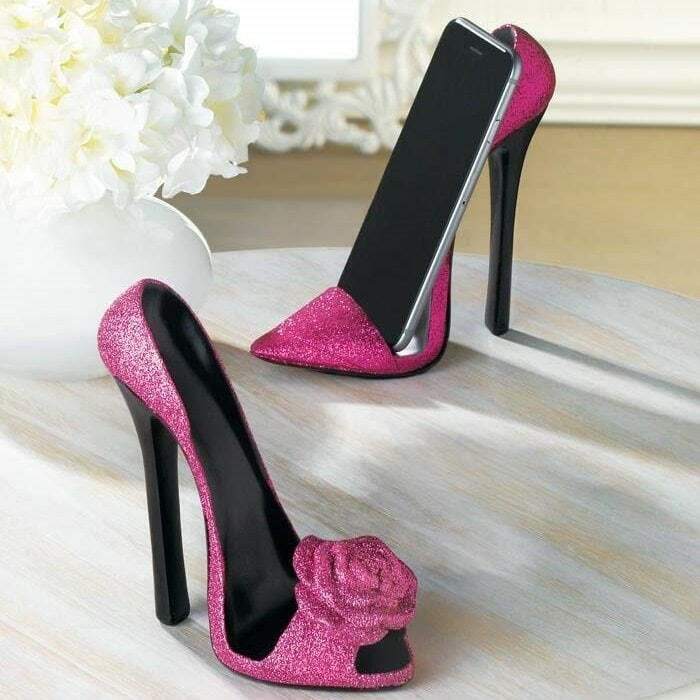 This hand-painted stiletto high heel stand is a hot and fashionable desk accessory to hold your business cards, cellphone or tablet! This is just the cutest desk accessory. 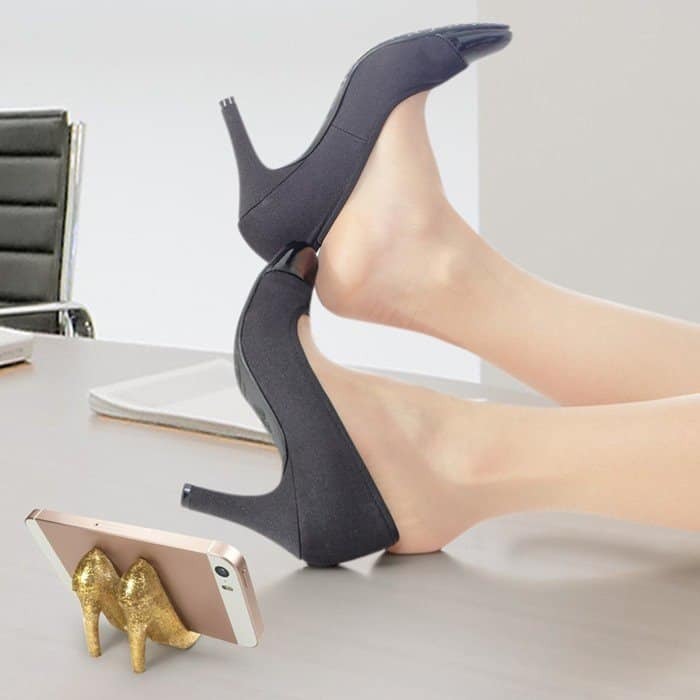 Works really well with phone and iPad mini and still can use while still in the stand, it is stable enough to do that. 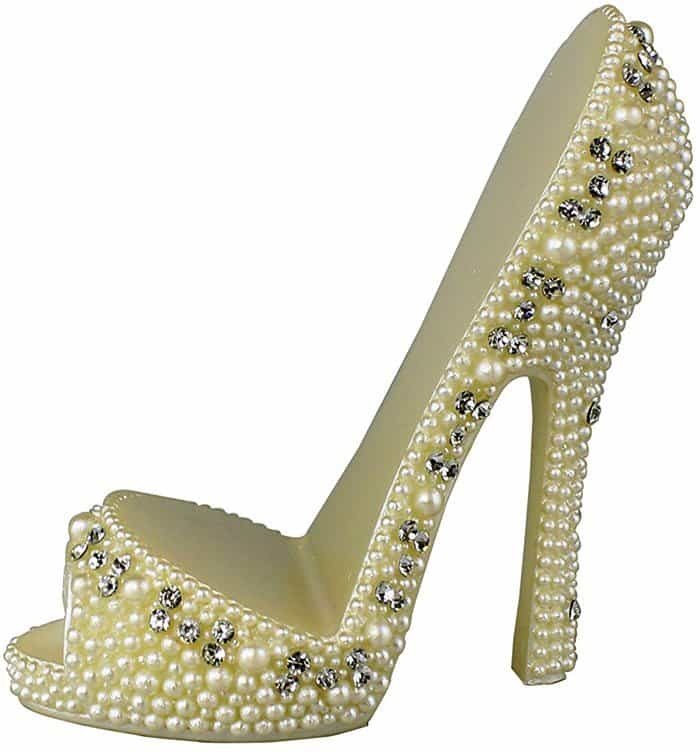 This shoe is soooooooo freaking cute!!! 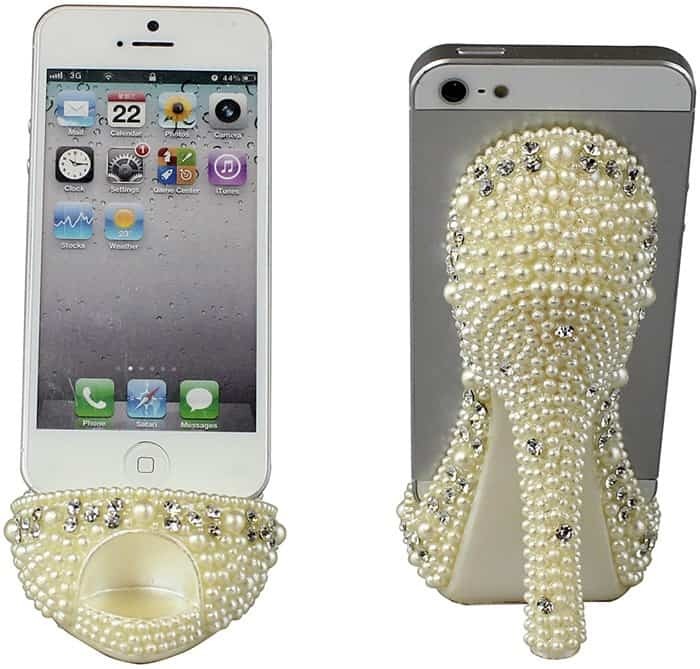 I was pleasantly surprised at the weight of this item; will definitely hold a phone without tipping over. 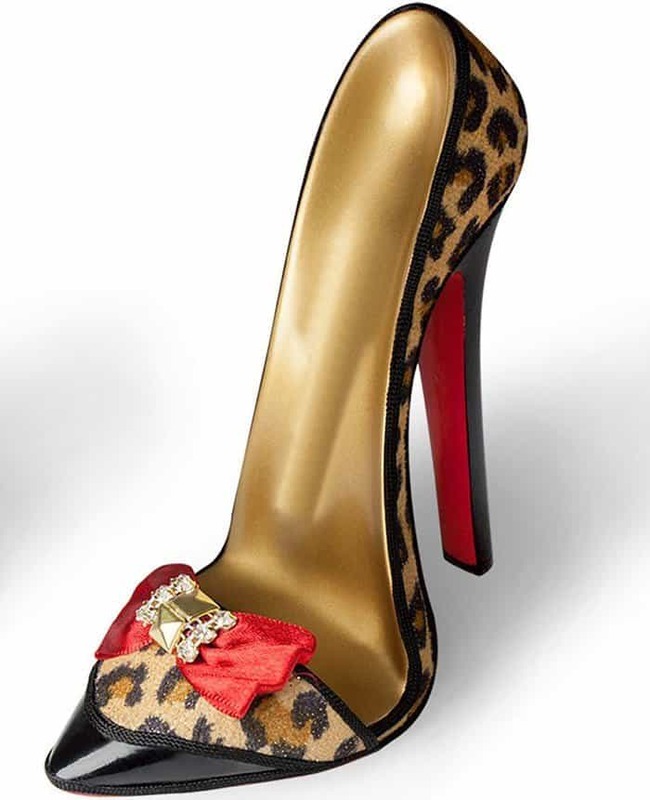 Are you looking for more shoe lover gift ideas?